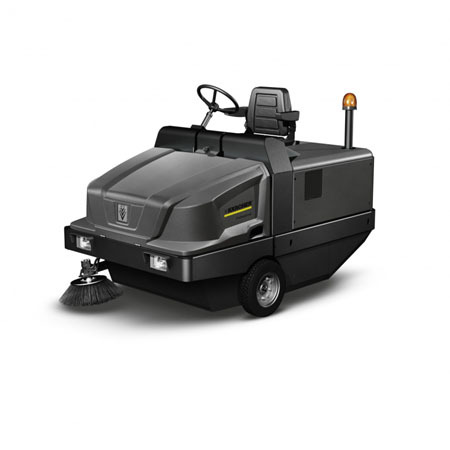 The KARCHER KM 130/300 is a battery powered rider sweeper. This unit impresses with excellent drive performance. This robust machine is suitable for extreme jobs, e.g. in the building material and metal-working industries or foundries and in all other dirt-intensive sectors. The KARCHER KM 130/300 basic functions can be conveniently selected with a control due to the EASY Operation Concept. A cyclone filter cleans the air before it enters the motor and increases the service life considerably.